Melinda B. Kaufmann practices in the areas of education law and labor and employment. She represents boards of education before state and federal agencies, including the Connecticut Commission on Human Rights and Opportunities, the Equal Employment Opportunity Commission, the State Board of Mediation and Arbitration, the State Board of Labor Relations and in arbitrations before American Arbitration Association arbitrators. She advises boards of education on all aspects of their operations including teacher terminations and non-renewals, the Americans with Disabilities Act, the Family Medical Leave Act, all aspects of special education and Section 504 of the Rehabilitation Act, student discipline, the Freedom of Information Act and teacher and staff discipline. 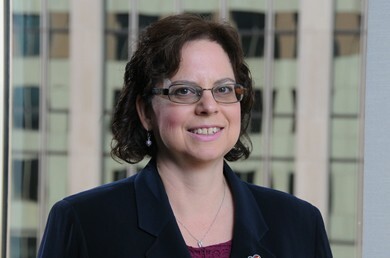 She has represented boards of education in federal and state court matters including but not limited to: special education, bullying, whistleblower claims, Freedom of Information Act requests, Title IX, Family Medical Leave Act, Americans with Disabilities Act, the Rehabilitation Act, wrongful termination, Section 1983 claims and various state court claims. Melinda has represented boards of education before the U.S. Department of Education Office of Civil Rights on claims of disability and race/national origin discrimination and successfully defended a school district in the first special education jury trial in the country. Melinda has defended employers and their individual officers, agents and employees in federal and state courts and before federal and state agencies regarding various issues including: discrimination, retaliation and harassment claims under Title VI, Title VII, Title IX, Connecticut Fair Employment Practices Act, Americans with Disabilities Act, the Rehabilitation Act, Fair Labor Standards Act, whistleblower claims, covenants-not-to-compete, constitutional claims under Section 1983, First Amendment, Uniformed Services Employment and Reemployment Rights Act and various employment-related tort claims. She has also successfully defended employers in federal jury trials involving the Americans with Disabilities Act and the First Amendment rights of employees. Prior to law school, Melinda gained five years of experience teaching special needs and regular education students. She also drafted middle school mathematics curriculum and designed curricula for special needs students. Most recently she has been an Assistant Corporation Counsel for the City of Hartford. Melinda has presented numerous training seminars to both the education law and labor and employment law markets on various topics, including: special education, student discipline, religion in the schools, sexual harassment, discrimination, and the Family Education Rights and Privacy Act.